But he says he's not a fan of the U.S. president. United Conservative Party Leader Jason Kenney meets with reporters at the Blackfoot Diner and Truck Stop, in Calgary, on July 13, 2018. CALGARY — The leader of Alberta's United Conservative Party says there are benefits to a newly elected legislature member having worked on Donald Trump's presidential campaign. Jason Kenney has spoken out against the U.S. president's protectionist economic stances and says he's made it clear he's not a fan. But Kenney says Devin Dreeshen got good experience on a winning political campaign, and has made useful contacts with the administration. United Conservative Leader Jason Kenney drives his truck after meeting with reporters at the Blackfoot Diner and Truck Stop in Calgary, on July 13, 2018. Dreeshen, who is 30, took about 80 per cent of the vote in a central Alberta byelection on Thursday — the NDP candidate ran a distant second. In November 2016, Dreeshen and another conservative political activist penned a lengthy article in the Hill Times in Ottawa chronicling their work on Trump's campaign. They wrote that they campaigned off and on between February and November of that year, and visited 28 states. "I've been clear about my own political views about Donald Trump since he was running for the primary over two years ago," Kenney said Friday. "I'm not a fan, but I recognize he is the elected president of our largest trading partner and we have to deal with that administration." Dreeshen, who will represent Innisfail-Sylvan Lake, and 31-year-old Laila Goodridge, who won 66 per cent of the vote in the Fort McMurray-Conklin byelection, were expected to join Kenney in Calgary on Friday, but neither did. Kenney said Goodridge's flight was delayed and Dreeshen had already spoken to reporters following the byelection results the previous night. Kenney said Dreeshen's work with Trump is publicly documented, and he sees no problem with it. "I think it's actually helpful to have in our caucus an MLA who can get people on the phone in the U.S. administration, who knows some of them and has worked with some of them," he said. "Devin and I totally agree with each other in our opposition to the Trump administration's protectionism, particularly our opposition to his unprovoked tariffs on our steel and aluminum industry, and our party has endorsed the approach taken by the federal Liberal government in responding to U.S. tariffs with our own tariffs." 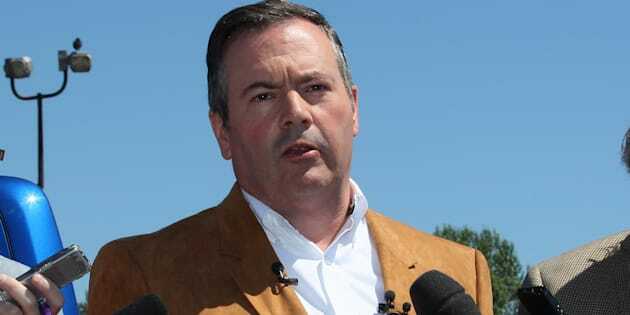 Kenney noted that in both byelections the United Conservatives won more votes than the Progressive Conservatives and Wildrose parties combined in the 2015 provincial election. He suggested that shows efforts he led to unite the two right-of-centre parties have paid off. "This is an absolute hard confirmation that the whole unity project is a success and, if I were the other parties, I would not be taking any solace from last night's results."